Shri Pawan Gupta holds a B. Tech. from IIT Delhi. He ran his own industry in Bihar before deciding to take up some studies about society. He along with his wife started an NGO (Society for Integrated Development of Himalayas) near Mussoorie which has been focusing on education. Through their work with rural Himalayan communities, he became aware of the limitations of modern education. Mr. Pawan Gupta is greatly influenced by Mr. Dharampal with whom he shared a very close relationship for the last 10 years of Mr. Dharampal’s life. He started becoming aware of his own, hidden assumptions about life, development, backwardness, and the Indian society. Mr. Dharmpal introduced Pawan to Mahatma Gandhi. The research work and insights of Mr. Dharampal about world politics and Indian social structures combined with the writings of Mahatma Gandhi helped Pawan understand the modern systems and their stranglehold on the lives of ordinary people. They helped him to formulate a framework through which it became easier to understand modernity and how it leaves very little space for leading a free, meaningful and relaxed life. Pawan has been working closely with the teachers’ community, has performed important research to understand the real and imagined expectations (“A Matter of Quality”); what impacts the behavior of children (“Child and Family”) in the rural Indian context; the values and assumptions embedded in Indian textbooks (“Text and Context”). These studies raised fundamental issues related to education in India. 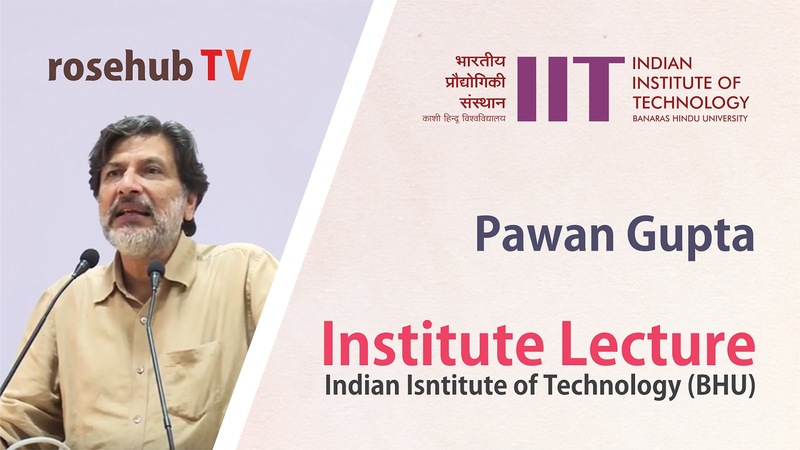 Pawan writes regularly for Hindi newspapers, magazines and journals, and English journals regarding the present socio-political issues, and education in its wider context. He is deeply interested in exploring the connection between the inner and outer world, traditional knowledge systems, socio-political issues and education. He is connected with several bodies working in these areas. Pawan lives in Mussoorie and travels throughout the country to share his ideas and thoughts.